Who loves Lucy? We all do on National I Love Lucy Day every October 15. Consider that at this very minute, somewhere in the world, Lucy and Ricky are arguing in 44 countries. Imagine Ricky declaring to Lucy, “You’ve got some ‘splainin’ to do” in French, Spanish, German, or Japanese. 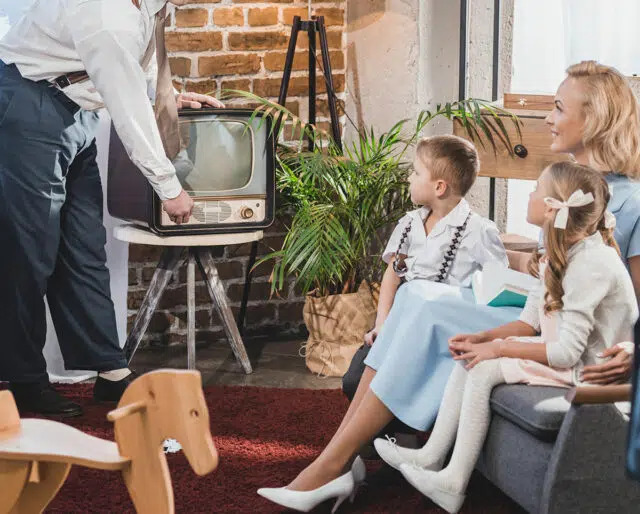 Today, we recall a simpler time when the family gathered around one (we repeat one) rabbit-eared, black and white TV set with only three channels. CBS was the only channel to watch on Monday nights at 9PM. So throw on your pj’s and bunny slippers to walk down memory lane. ​"I Love Lucy" landed on "Time" Magazine's list of the "100 Best TV Shows of All Time." ​"TV Guide" honored the "I Love Lucy Show" with its ranking as the "Second Greatest Show of All Time." ​CBS eventually saw the error in its decision to allow Lucille Ball and Desi Arnaz 100 percent of the rights to "I Love Lucy" by paying $5 million to purchase the rights to 179 episodes. ​Over 71 percent of the nation watched "Lucy Goes To the Hospital." ​Toilets stopped flushing in parts of the country where the iconic episode "Lucy Goes to the Hospital" aired. ​The very first episode of "I Love Lucy" aired the evening of October 15, 1951 at 9pm. As sophisticated as we seem to be with our cell phones, laptops and iPads, "I Love Lucy" celebrates the pure comedy of life in a time when none of these items existed. The simple situations, many taking place in one or two middle-class Manhattan apartments, showed a versatility and creativity upon which modern day humor with all its snarkiness can't really improve upon. So, celebrate National I Love Lucy Day with back-to-back to back episodes of this comedy favorite. Who wouldn't love to stuff themselves with pillows to be cranky Fred Mertz for just one day? Get creative with all your best buds and throw a theme party celebrating National I Love Lucy Day. Cook up Ricky's favorite dish, arroz con pollo (also known as chicken and rice), make up a punch of Vitameatavegamin and have some mid-week fun. Invent an episode for the show, play it out with your crew and see what happens. You can't be a true fan of National I Love Lucy Day without some Lucy, Ricky, Fred and Ethel bobbleheads scattered around the house. Check out your favorite sites like eBay and find out what kind of memorabilia is available and make a purchase. Many of these items are worth thousands of dollars so invest in some Lucy and Ricky. ​By the time the first episode of "I Love Lucy" aired, Lucille Ball was 40 years old while Desi Arnaz was only 34 years old and already had a skirt-chasing reputation. ​"I Love Lucy" was the first American television show to reach 10 million households. Vivian Vance was only two years older than Lucy — but made to look older so she would not steal Lucy's limelight. ​Lucy was actually pregnant during the episode "Lucy Goes to the Hospital." ​Lucy was pregnant with her first child when the show originally aired in 1951 but it wasn't until the second season that the pregnancy was used as part of a show plot. ​Vivian Vance, who played Ethel Mertz, had many challenges including a husband who battered her during the show's run and a strong dislike for Ethel's character — who was forced to wear, older, dowdy clothes when Vance was much more glamorous in real life. One of the reasons why we all love "I Love Lucy" is that Lucille Ball and Desi Arnaz were a real, married couple. They met on the set of a 1940 film called "Too Many Girls." The two eloped later that year and by 1951 were having some trouble in the marriage. The "I Love Lucy Show" was Lucy's brainstorm idea to keep her marriage with Desi intact. Even today, scholarly types go back and forth over why the show actually worked when the reason is simple — the show was freakin' hilarious! By 1951, Lucille Ball, a former B-rated glamour girl, was already 40 years old, considered past most actresses' prime. The idea that someone still so beautiful would do anything for a laugh in the style of older slapstick masters like Charlie Chaplin, Buster Keaton, or even the Three Stooges was revolutionary. Everybody who watches the show has a favorite episode where Lucy inevitably gets dunked, schmeared, frozen in a vault, or knocked around in a wine vat full of grapes. The show was cutting-edge even in the '50s. The idea of a Latino band leader in an interracial marriage never even seemed to raise eyebrows. More than that, Arnaz was a genius of innovation with such ideas as using three cameras and 35mm film for the very first time — a technological achievement that television shows still use today. When Lucy and Desi took a pay cut with the understanding that they would gain 100% of the rights to the show instead, this became one of the first and most lucrative syndication deals in history.